John Flanagan returns to the world of Ranger's Apprentice to find out what happens when Will's apprentice, Maddie (who we met in The Royal Ranger), returns home to Castle Araluen. The Kingdom may have been at peace for a number of years, but there are always those who would commi... read full description below. 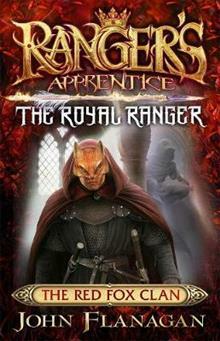 John Flanagan returns to the world of Ranger's Apprentice to find out what happens when Will's apprentice, Maddie (who we met in The Royal Ranger), returns home to Castle Araluen. The Kingdom may have been at peace for a number of years, but there are always those who would commit treason to take power for themselves. When Maddie learns of a plot against the crown, she must go undercover to find out more - and hopefully stop it. But going undercover isn't easy when you're the princess - even if you're trained as a Ranger. John Flanagan's Ranger's Apprentice and Brotherband adventure series have sold more than fifteen million copies worldwide. His books are available in more than one hundred countries, are regularly on the New York Times bestseller list, and have had multiple award shortlistings and wins in Australia and overseas. John, a former television and advertising writer, lives with his wife in a Sydney beachside suburb.